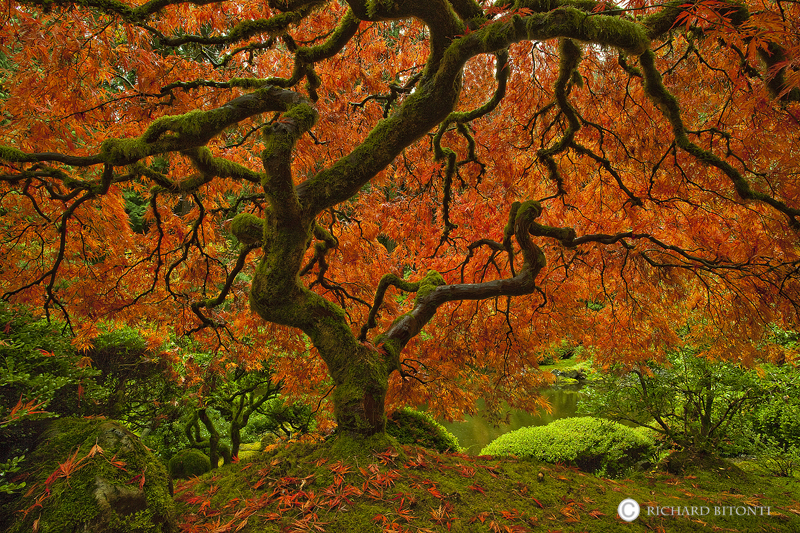 An image of the iconic Japanese maple tree on display in the Portland Japanese Garden. The garden is a haven of tranquil beauty nestled in the foothills west of Portland, Oregon. Photo © copyright by Richard Bitonti.